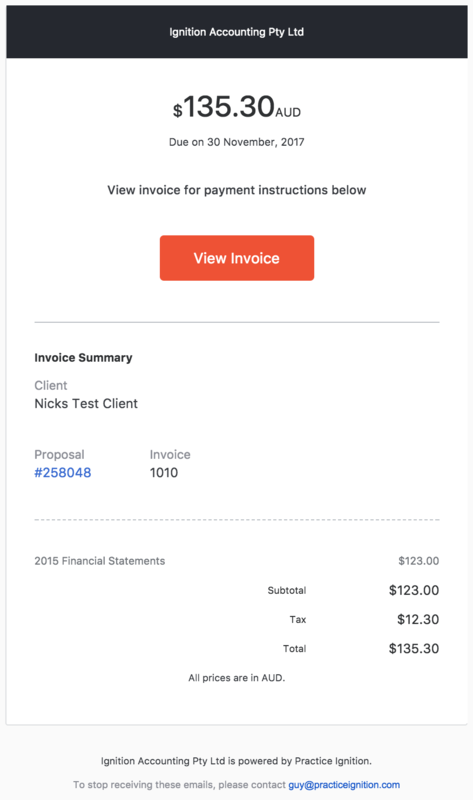 Once a proposal has been accepted, Practice Ignition will automatically generate invoices in your connected Xero or Quickbooks Online account. And, if you're using Practice Ignition Payments, the invoice will also be marked as paid as soon as payment has been collected. When a new invoice is created or paid, you can choose to automatically send an email notification to the client. What notifications can I use? To use Invoice notifications, you must have Xero or Quickbooks connected to your Practice Ignition account. 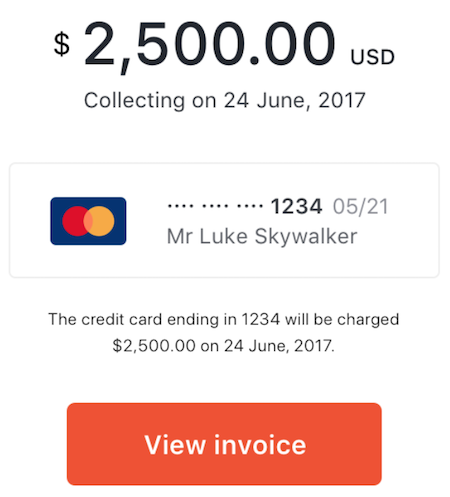 To use Payment Receipt notifications, you must be using Practice Ignition Payments. Which email address are the notifications sent to? The emails will go to Recipients specified in the Notifications tab on a client. You can add one or more emails here and all recipients will receive a copy of the notification. The below video shows you how to set multiple email recipients. When you have more than one recipient added, you can also elect to remove a recipient. 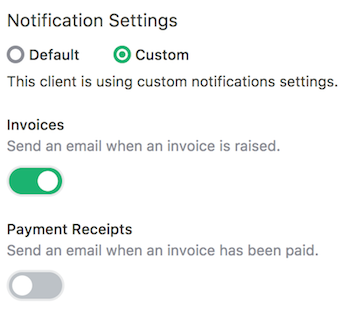 To enable notifications by default for all future invoices and collected payments, visit "Settings" (in the left hand menu), and then find the section called "Client Notifications". Choose which emails you would like to send, and click "Update Settings". The notifications that each client receives can also be customized. Open the client in Practice Ignition and go to the "Notifications" tab. You'll then be able choose custom notification settings just for the client you're viewing. When the invoice is emailed to your client, Practice Ignition will automatically mark it as "Sent" in Xero. It's worth noting that Practice Ignition will authorize the invoice in Xero in order to mark it as sent, if the invoice hasn't already been authorized. "View Invoice" will open the PDF invoice generated by Xero or Quickbooks. How can I try it out before enabling notifications for all my clients? If you'd like to test client notifications, you can create a test client using your own email address, enable notifications and build a test proposal. When will my clients receive the payment receipt in their email? 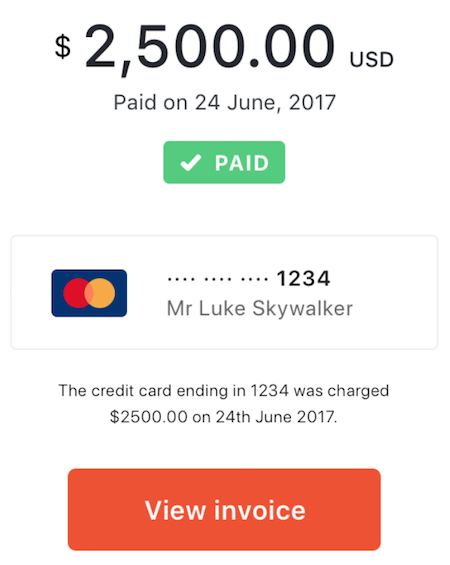 If the payment was done via credit card, the client will receive the payment receipt (email) the moment the card is charged. For direct debit, the client will receive the payment receipt (email) as soon as we receive a confirmation that the payment has been successfully taken out from the client's account (that is, between 3-5 business days). If you have any other questions about client notifications please let us know.